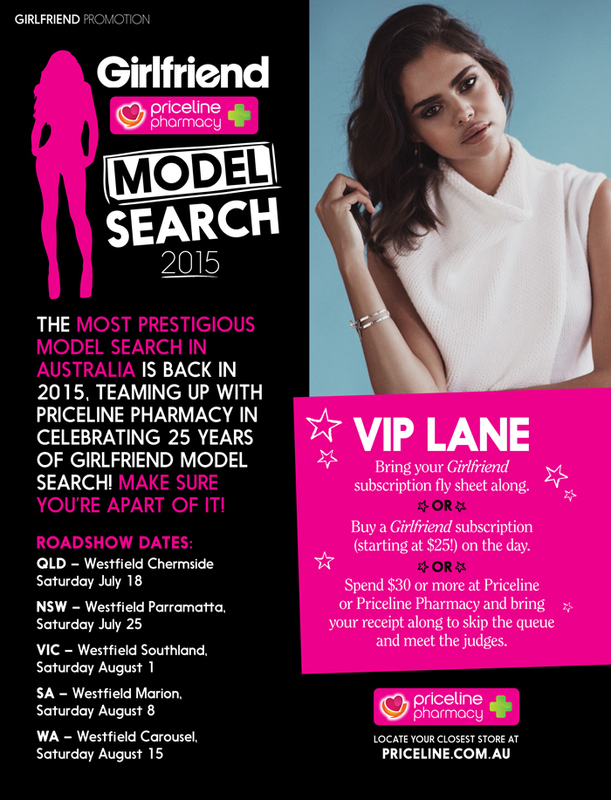 Chic Management: 2015 Girlfriend Model Search! The 2015 Girlfriend Model Search is here!! Think you've got what it takes? Always dreamt of being a super model? Well now is your chance to try out! * $5,000 cash for YOU and $5,000 cash for your scout!! * A four-night trip to NY or London to meet Next Model Management Worldwide. * An appearance in two fashion shoots for Girlfriend magazine. * A $1,000 prize pack from Priceline Pharmacy. Chic, Priceline & Girlfriend Magazine are doing a nation wide search... For details on how to enter in your state read on or watch here!